We live in a time when we are overwhelmed with talk and images of violence. Whether on television, the internet, films or the video screen, we can’t escape representations of actual or fictional violence - another murder, another killing spree in a high school or movie theatre, another action movie filled with images of violence. Our age could well be called “The Age of Violence” because representations of real or imagined violence, sometimes fused together, are pervasive. But what do we mean by violence? What can violence achieve? Are there limits to violence and, if so, what are they? 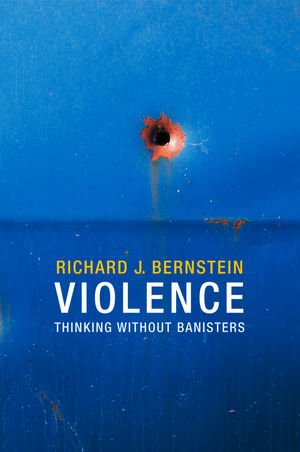 In this new book Richard Bernstein seeks to answer these questions by examining the work of five figures who have thought deeply about violence - Carl Schmitt, Walter Benjamin, Hannah Arendt, Frantz Fanon, and Jan Assmann. He shows that we have much to learn from their work about the meaning of violence in our times. Through the critical examination of their writings he also brings out the limits of violence. There are compelling reasons to commit ourselves to non-violence, and yet at the same time we have to acknowledge that there are exceptional circumstances in which violence can be justified. Bernstein argues that there can be no general criteria for determining when violence is justified. The only plausible way of dealing with this issue is to cultivate publics in which there is free and open discussion and in which individuals are committed to listen to one other: when public debate withers, there is nothing to prevent the triumph of murderous violence. Richard J. Bernstein is Vera List Professor of Philosophy at the New School for Social Research and the author of many books, including Beyond Objectivism and Relativism, The New Constellation, Radical Evil and The Pragmatic Turn. "A valuable book not only because it recognises the impossibility of timeless criteria for thinking about violence and the naïvety of an appeal to absolute non-violence, but also because it raises questions about the nature of political responsibility." "A major contribution to the seemingly intractable question of violence and nonviolence by one of the greatest philosophers of our time. I cannot recommend it highly enough." "No one can converse with thinkers of the past or present like Richard J. Bernstein does. In the brilliant and timely hermeneutic exercise of this book, he provides us with new ways to understand the phenomenon of violence and its dialectical relation to public power and freedom." A major new book by a leading American philosopher. Focuses on the nature and meaning of violence today Ð whether in the form of terrorism and suicide bombers or in the form of violence on our television screens or violent movies. Develops an analysis of violence through a re-interpretation of the work of five key figures: Carl Schmitt, Walter Benjamin, Hannah Arendt, Frantz Fanon and Jan Assmann. Argues that there are compelling reasons why we should commit ourselves to non-violence. This book will appeal to students and academics in philosophy, politics and related subjects.